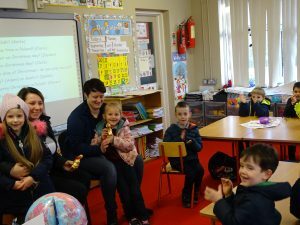 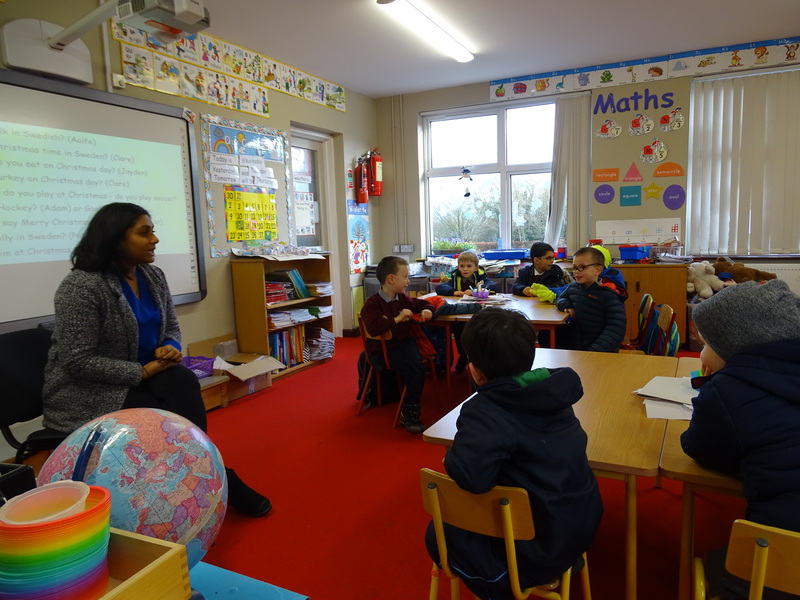 During December the children in Junior and Senior Infants have been learning all about how Christmas is celebrated in different parts of the world. The children learned the different names for Santa Claus and the various traditions worldwide. They were fascinated to discover that Santa changes into shorts and a t-shirt when delivering the presents in Australia! 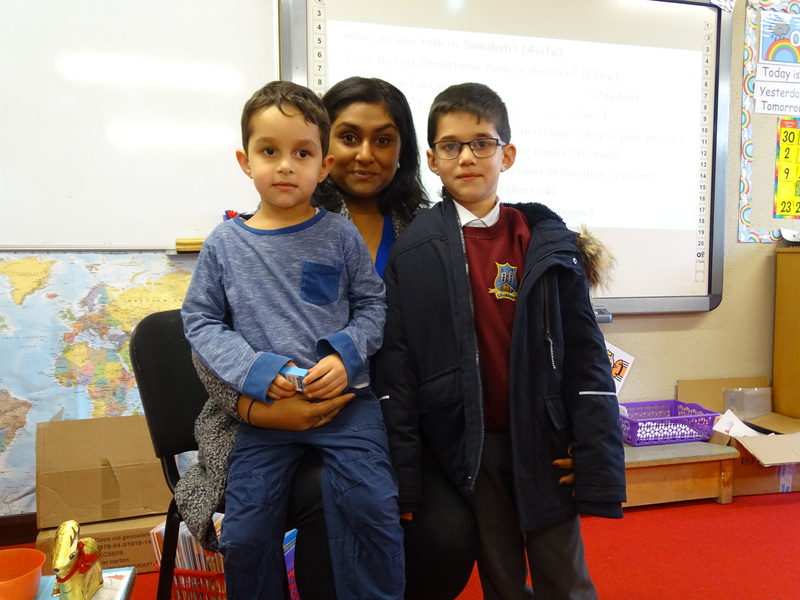 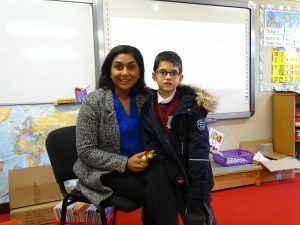 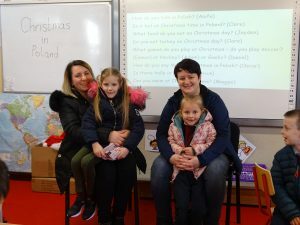 As part of our journey of discovery we were very lucky to have some parents pop in to tell us all about Christmas in their countries where they grew up. 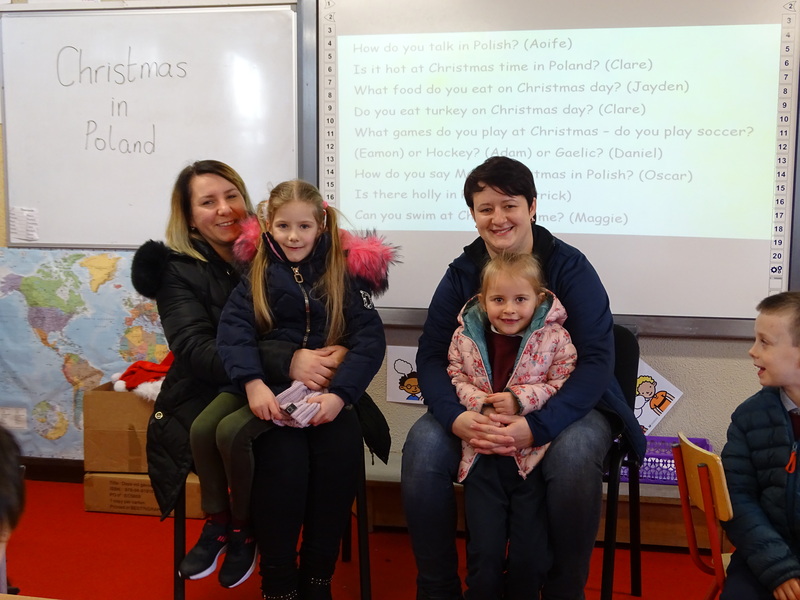 Many thanks to Anna, Ewelina and Kamala, we learned so much about the kinds of food enjoyed at Christmas and the special traditions that are kept in both Poland and Sweden.